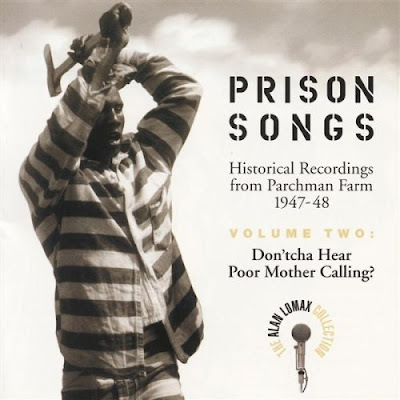 Prison Songs, Volume 2: Don'tcha Hear Poor Mother Calling? 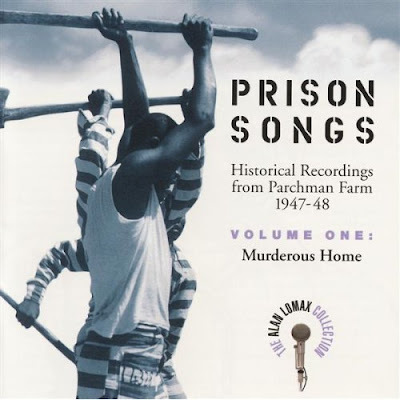 These two CDs, which consist of recordings made, mainly in 1947, by Alan at the Mississippi State Penitentiary at Parchman Farm, were among the first released as part of The Alan Lomax Collection about five years ago. It is not surprising that they were accorded priority, given the emotional quality and power of the performances. titles are accurate enough: the vicious treatment of inmates by sadistic guards did result in deaths as well as misery, while some of the inmates were self-confessed killers and, in any case, "The Murderer's Home" was their own name for the place (the phrase appears in the first song on Volume I). 1957) are reprinted in the booklet and commentaries on the tracks (with lyrics) are provided by Matthew Barton, the difficult task of identifying the best singers by their real names rather than by their prison numbers or nicknames has been shirked. That's a pity, but these two CDs are nonetheless well worth obtaining. Indeed, this is quintessential Lomax.